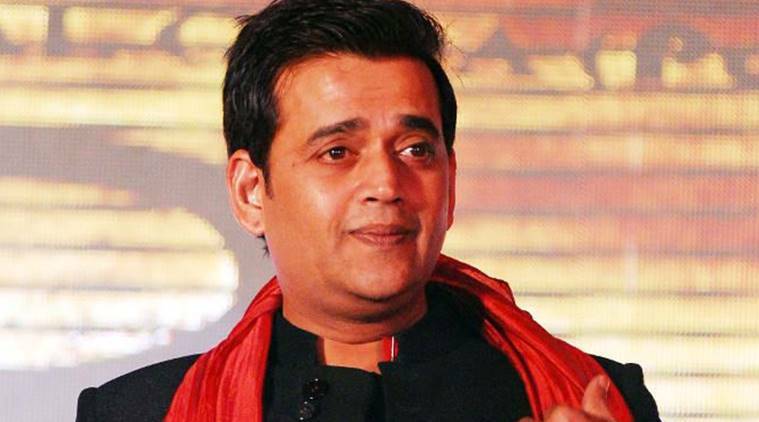 Lucknow: Bhojpuri superstar Ravi Kishan will be contesting from Gorakhpur Lok Sabha constituency on a BJP ticket, the party announced on Monday. 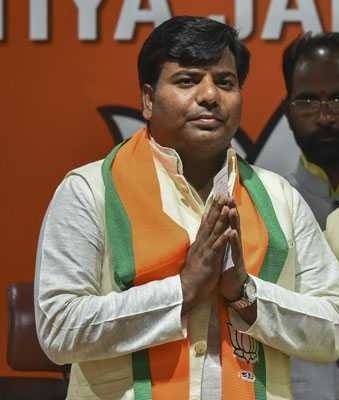 Eventually, Nishad Party leader and Gorakhpur Lok Sabha MP Praveen Nishad joined the Bharatiya Janata Party on April 4. The party has forged an alliance with the BJP and Nishad is set to contest from Sant Kabir Nagar on a BJP ticket. The sitting BJP MP Rakesh Tripathi has not given the ticket, with the party fielding Praveen Nishad from the constituency. 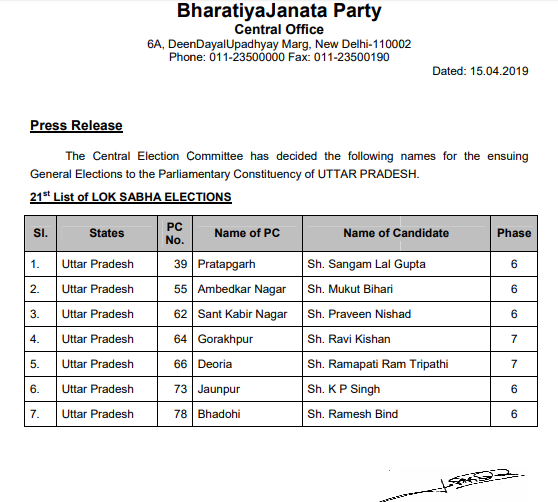 Other candidates announced by the party on Monday are--Sangam Lal Gupta from Pratapgarh, Mukut Bihari from Ambedkarnagar, Rampati Ram Tripathi from Deoria, KP Singh from Jaunpur and Ramesh Bind from Bhadohi.